The fork is a Lyrik 26" coil with Avalanche cartridge. It has just been rebuilt with fresh oil and is running beautifully. 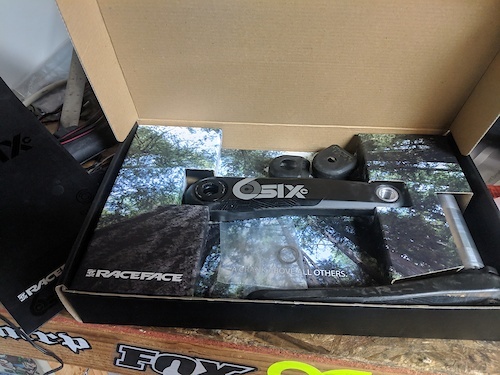 Sale will include both the x-firm and firm springs and a spare set of new Push seals. Steered is tapered, about 8" long. 20mm Maxle included. 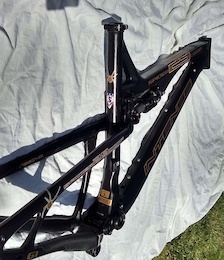 The fork is currently attached to my 2012 XL Nomad which is also for sale complete or frame only. This size XL bike comes with the standard carbon Nomad link and a Manitou Evolver air shock which is probably the most underrated shock going with HSC, LSC and bottom out control. 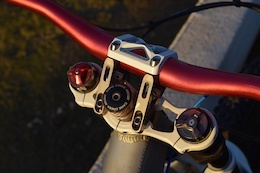 I will include the -1.5deg (plus 0.5 and 1deg cups) Angleset has been creak free and really dials in and modernizes the geometry for all around use. Build weight for the heavy set up is around 33lbs, and trail set up will be closer to 30lbs. The frame has been well maintained over the years and this has largely been my backup bike for the last three years. The clear coat on the raw carbon is flaking off around the driveside seatstay and on the top tube where I had some protective (and personal) stickers. 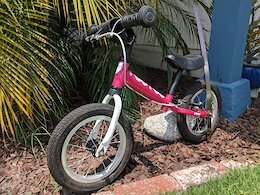 I was not pleased when I pulled them off as it really detracts from the overall quality feel of the bike, but they are purely cosmetic. Overall, this is a truly iconic bike that I hate to see go, especially with all of the customization. But, it's time to move on to a new home where i will hit the dirt with more regularity. I am selling the bike complete as well if that's preferred. 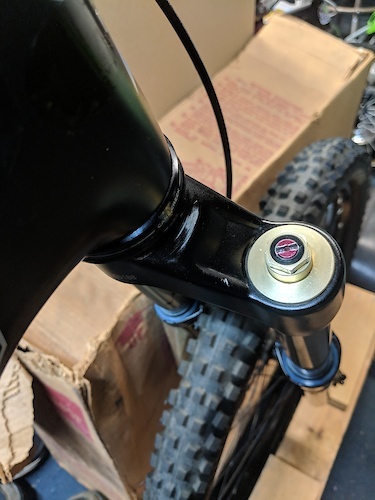 The driveside crank arm is a brand new warranty replacement (pedal insert), the non driveside is in excellent shape, see pics. Comes with crank boots and washers in original packaging. I have both, I prefer the smooth actuation of the Tellis where I get some stiction with the OneUp. The Tellis is a piece of cake to install too. The cable attachment mechanism on teh OneUp is over engineered in my opinion. I'm not sure which lever I prefer as both are simple, out of the way and easy to set up. So, overall performance andvantage to the Tellis, leaving the only advantage of the OneUp being the the stroke adjustability and lower stack height.